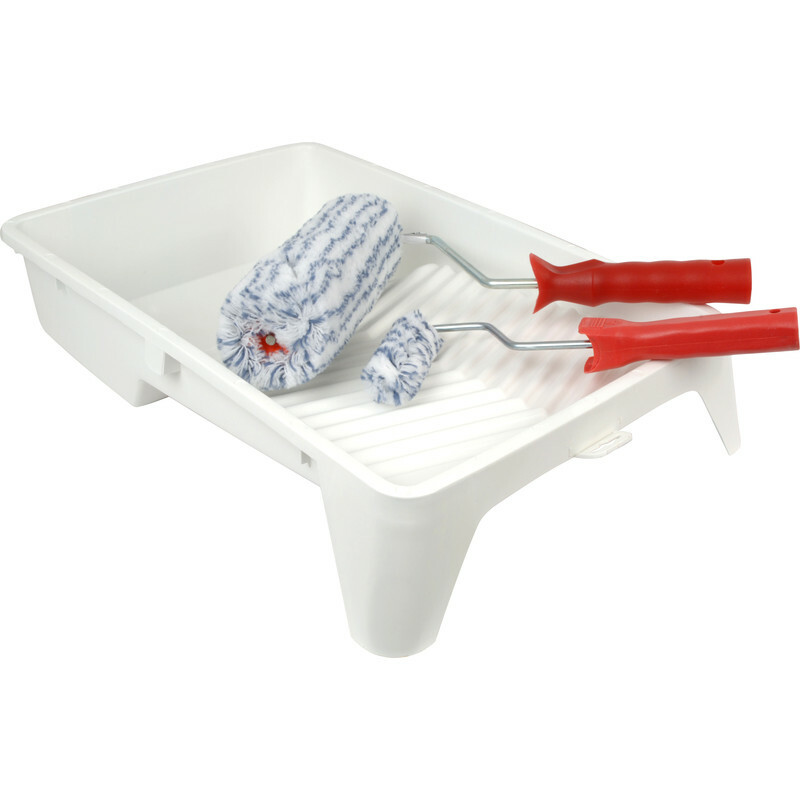 Rota Premier Masonry Paint Roller Set 10"
Exceptional loading capacity - saving time, money and labour. Kit contains 1x 11" deep tray, 1x 10" and 1x 4" Dualon padded woven roller sleeves on stick system. Rota Premier Masonry Paint Roller Set 10" is rated 5.0 out of 5 by 5. Rated 5 out of 5 by Mike1964 from Superb kit for exterior painting I bought this kit to paint newly rendered walls and the roller was fast and efficient with good even distribution of the paint. Highly recommend and great value. Rated 5 out of 5 by Tans from Brilliant! Thought I’d take the time to say how good this set is. Quite often I’ve found that the roller works it’s way off the side but not this one! Really well made and covered the walls quickly. Highly recommend this.